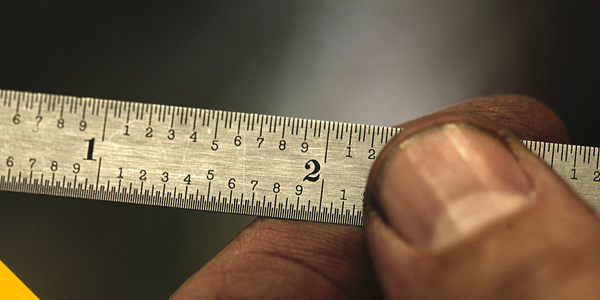 The AWS Fabrication Math I course provides a comprehensive introduction to basic math skills. The engaging, multimedia, format offers clear, step-by-step verbal and visual explanations that make each mathematical concept easy to understand and remember. Topics include place value, simplification, estimation, measurement and the addition, subtraction, multiplication and division of whole numbers, fractions, decimals and mixed numbers. 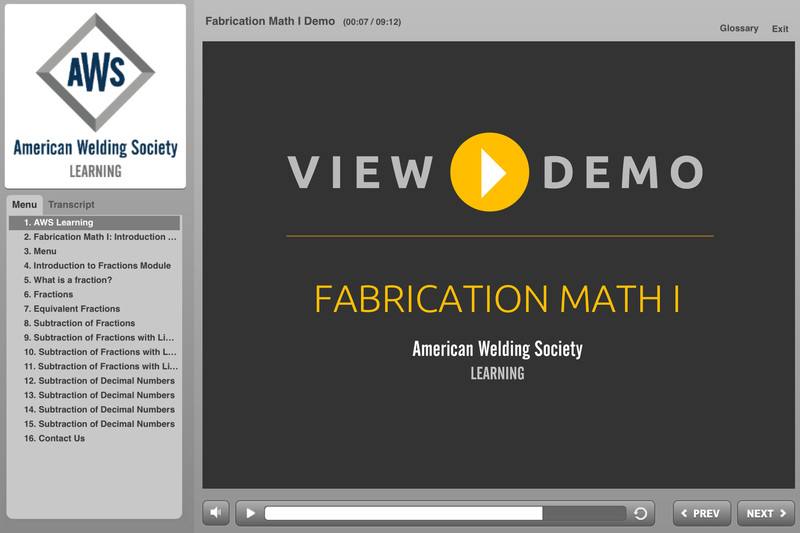 This self-paced, online course is ideal for both beginners and welding professionals who want to learn or refamiliarize themselves with the basic principles behind many of the measurements and calculations used in the welding industry. The Fabrication Math I course is ideal for any welding student or welding professional that needs to learn or review basic math skills and how they apply to various aspects of welding from measuring materials for cutting and assembling to ordering materials in an economical and efficient manner. Participants have access to the course content for a period of 30 days from the date of registration. During this time, they may access the 18 educational modules 24 hours a day, 7 days a week, from virtually anywhere with an internet connection. Access to the course materials will cease after this 30 day window, but participants will have an additional 10 days to pass the completion exam. The exam can also be activated before the end of the 30-day window if the student has completed all the modules. Yes. Upon completion of the 18 educational modules, participants will have the option to take a completion exam. The exam consists of 30 multiple choice questions that test the participant’s retention of the basic topics covered in the course. The Completion Exam must be completed within a two-hour period. Participants that do not attain the 75% passing score may attempt to retake the same exam a second time. Participants who attain a score of 75% or more on the completion exam earn an AWS Certificate of Completion and 18 Professional Development Hours (PDHs). The AWS Certificate of Completion can be downloaded and printed directly from the webpage. No. All the materials and resources necessary to complete the course objectives are provided. Yes. Participants that finish the Fabrication Math I Completion Exam with a score of at least 75% will receive an AWS Certificate of Completion and 18 Professional Development Hours (PDHs). Yes. Professional Development Hours (PDHs) earned though American Welding Online courses can be utilized for recertification provided the PDH’s are obtained during the certification period. Yes. Participants that receive a score of 75% or above on the Completion Exam will receive an AWS Certificate of Completion and 1.8 IACET Continuing Education Units (CEUs).